LDC’s SmartStreetSensor footfall tracking network now comprises over 1,000 allocated devices, ranging from Aberdeen down to Plymouth and a huge range of locations in between. As our network continues to grow in size, it also grows in value each week as more sensors age and start to yield comparable year-on-year insights. With many in the retail and investment market acknowledging a challenging environment, the need to use data as evidence to intelligently discover where opportunities lie has become more critical than ever. LDC has been tracking the retail and leisure market for over 10 years now, and through our powerful combination of field and desk research, we have built a rich database of historical trend information which can help us to predict where this market will go next. 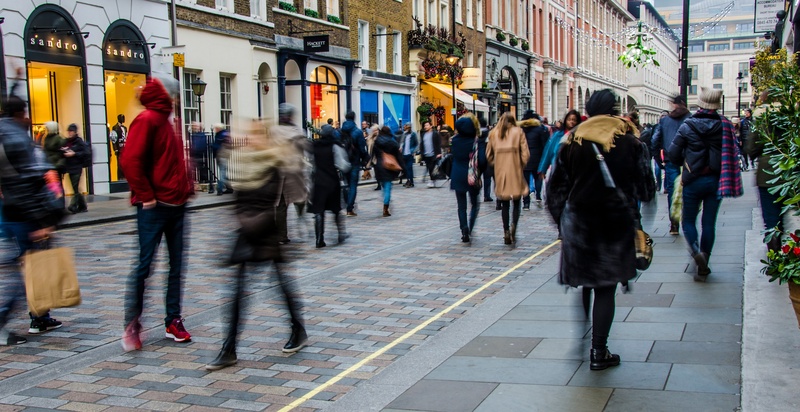 However, we believe that the next frontier in understanding how our retail locations are used is being able to track footfall, not just coming into stores and assets, but also the pavement opportunity outside.